The Indian Income Tax Act offers multiple benefits to the senior citizens vis-a-vis the younger tax payers. Here's a brief overview of the same. 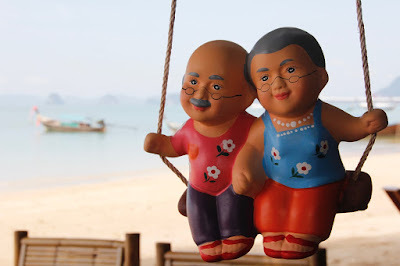 A person of age 60 or more (but less than 80) — at any time during a particular financial year — is defined as a Senior Citizen under the Income Tax Act. A person of age 80 or more — at any time during a particular financial year — is defined as a Very Senior Citizen under the Income Tax Act. Since the operative text is "at any time during the year", the person who is 59 (or 79) as on April 1, but turns 60 (or 80) during the course of the financial year, will be classified as a Senior Citizen (or Very Senior Citizen). In other words, even if you attain the age of 60 (or 80) on Mar 31, you will be deemed to be a Senior Citizen (or Very Senior Citizen) for the entire financial year. Hence, you become eligible to claim tax benefits provided for such Citizens in the Income Tax Act. IMPORTANT: This criteria applies to "resident" citizens only. Non-residents are not eligible to claim any senior-citizen / very senior-citizen related tax benefits, even if they are more than 60 / 80 years of age. Only when someone earns more than the exemption limit specified for a given financial year (e.g. Rs.2.50 lakhs for 2016-17), does s/he becomes liable to pay tax. In this regards, Senior Citizens have been granted an extra exemption of Rs.50,000. Hence, Senior Citizens become liable to pay tax only if their income for 2016-17 exceeds Rs.3 lakhs. Likewise, Very Senior Citizens have been granted an extra exemption of Rs.2.50 lakhs. Hence, Very Senior Citizens become liable to pay tax only if their income for 2016-17 exceeds Rs.5 lakhs. Senior (and Very Senior) Citizens enjoy many tax benefits. Sec 80D of the Income Tax Act allows tax payers to claim deduction for the premium paid on medical insurance, plus cost of preventive health check-up, for self and family including parents. The above limit, includes (a) "premium" paid on health insurance policies and (b) "expenses" incurred up to Rs.5000 towards preventive health check-up, which can be claimed as deduction from the total taxable income. However, if you, your family or your parents are a Senior or Very Senior Citizen, the deduction is enhanced to Rs.30,000. So, Senior and Very Senior Citizens get extra deduction of Rs.5000 as compared to the younger tax payers. If you, your family or your parent are a Very Senior Citizen, you can claim deduction for "even the expenses incurred on medical treatment", within the above-mentioned limit of Rs.30,000. This clause is very crucial because it is both difficult and expensive to get insurance cover for the elderly people. As such, even if willing, they remain uninsured and hence exposed to high risk of exorbitant medical bills. Under section 80DDB, a tax payer can claim a deduction of up to Rs.40,000 for the expenses incurred on treatment of certain specified illnesses as prescribed by the specialist concerned. This deduction is available for treatment of self or a dependent person (viz. spouse, children, parents, brothers or sisters). For Senior Citizens the amount eligible for deduction is 50% more than the younger tax payers i.e. a total sum of Rs.60,000. For Very Senior Citizens the amount eligible for deduction is doubled to Rs.80,000. Normally, a tax payer is required to pay her / his tax in advance if the tax liability is estimated to be Rs.10,000 or more. This is known as Advance Tax and is payable as per the prescribed percentage, on or before the prescribed due dates. However, retired Senior / Very Senior Citizens are exempted from paying any Advance Tax, provided they have no income from business or profession. The tax can be paid before filing the Income Tax Return. For tax payers who file Income Tax Returns in the Form ITR 1 / 2 / 2A and have a refund claim or income more than Rs.5 lakhs have to compulsorily file their IT Returns electronically (with or without digital signature or by using electronic verification code). However, if such tax payers are Very Senior Citizens, they can file their IT Returns either in the paper mode or electronically, whichever convenient. This, in a nutshell, are the benefits available under the Income Tax Act to the Senior and Very Senior Citizens resident in India.